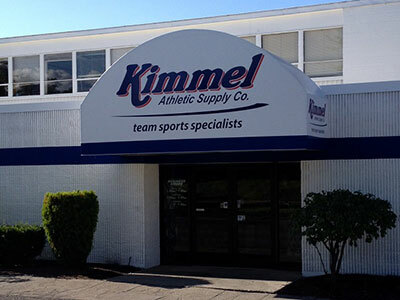 BSN SPORTS has completed the acquisition of Kimmel Athletic Supply, the leading distributor of team apparel and equipment in the Pacific Northwest, which has been serving team customers since 1969. "We are pleased to welcome Jim and Paul Kimmel and their talented team to the BSN SPORTS family," said Adam Blumenfeld, the company's CEO. "KAS brings additional quality team sports professionals to our organization in the Washington, Oregon, Idaho and Dallas, TX metro area. Their culture of expert advice and friendly guidance is a perfect fit with our OmniChannel approach to the team sports and community marketplaces. Aligning BSN SPORTS' full suite of traditional sales and marketing assets with the most comprehensive equipment, apparel, fanwear, and fund raising product line creates an incomparable one stop shop for our new family members at KAS. We look forward to a bright future together." Bill Davis, Chairman of Kimmel's agreed, "Today, we join BSN SPORTS, a national company which operates with the same commendable mission, but with greater resources and state of the art technology, giving our employees the ability to continue providing our loyal customers the same level of service to which they have been accustomed. It's a win-win scenario for everyone!" BSN SPORTS' website is BSNSports.com. Pullman-based Schweitzer Engineering Laboratories is expanding its Spokane branch office after purchasing the former 28,000 square foot ITT Technical Institute building at 13518 E. Indiana Avenue. The cost of the transaction was $2.3 million. Schweitzer plans to occupy the building in late summer. 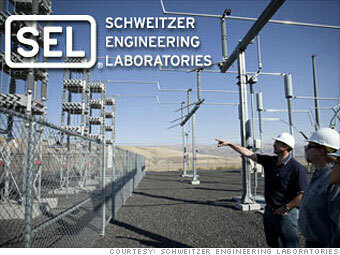 Since 2012 Schweitzer has had a Spokane presence in a leased space at 3808 N. Sullivan Road, The company makes protection, monitoring and automation devices for the electric power industry. There's a new bakery in town and this one's special. Twenty-Seventh Heaven Scratch Bake Shop opened the end of January at 1220 S Grand Blvd, across from St. John's Cathedral. 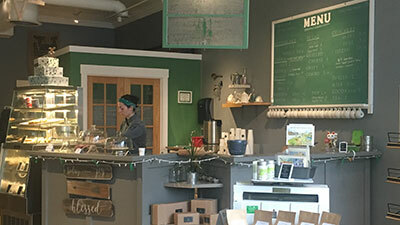 Owner Lydia Cowles has a passion for baking the things she loves and uses local ingredients to create her fabulous coffee cakes, regular and mini-sized specialty cupcakes, and delicious breads, all made from scratch daily. Matcha green tea lattes and coffee is available, along with great grilled cheese sandwiches for lunch. Plus, if you grab a seat at the window, you get a great view of the Cathedral! Hours are Tuesday through Saturday, 7am-3pm, and Sunday 7am-1pm. You can find out more on Facebook. 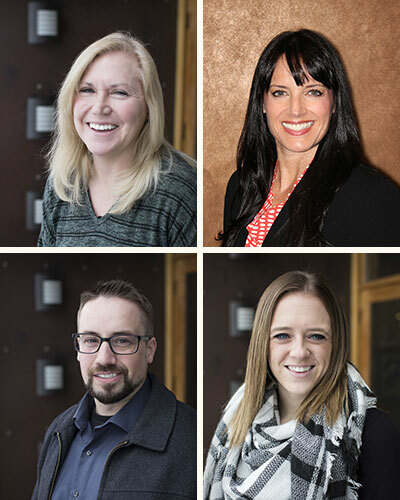 Coeur d'Alene-based marketing communications company Hanna & Associates Inc. recently added four employees. Lisa Aitken will be serving as a new Account Executive, she was previously Community Relations Coordinator at Kootenai Health. Prior to that, she was the National Marketing Manager with Pita Pit USA, an international quick-serve restaurant chain. Jacquie Masterson brings her award-winning graphic design skills to the firm. Prior to joining Hanna, she was Senior Designer at WSU College of Nursing. In her career, Jacquie also has served at many local marketing agencies in roles that include Web Designer, Illustrator, and Graphic & Professional Artist. Sam Morris was hired as Digital Media Manager. He has a decade of business management experience with expertise in SEO, SEM, Web Analysis and Video & Content Marketing. Sam has earned certification in Google AdWords and Google Analytics. Samantha Charlton joins Hanna as Traffic Coordinator. She has two years of previous marketing experience, and specializes in project organization and management. For more information, visit hanna-advertising.com. Southwest Airlines will begin providing daily, year round nonstop service from Spokane to Sacramento International Airport on August 1, 2017 with a 143-seat Boeing 737-700 aircraft. The new Spokane-Sacramento service will provide connecting service to Burbank, Los Angeles, Long Beach, Ontario, Las Vegas, Phoenix, and San Diego. Annually, the Spokane-Sacramento market accounts to over 65,000 total passengers. In addition to Sacramento, Southwest also provides nonstop service to Boise (2), Oakland (2), Las Vegas (2), Denver (2), and Phoenix (1), and summer seasonal service to Chicago Midway (1) and San Diego (1). Southwest Airlines has provided continuous service to the Spokane-Coeur d'Alene Region since 1994. For schedule and fare information, go to southwest.com or dial toll free, 800-435-9792. You can't market like you used to. Online platforms like Facebook, Twitter, Instagram, Pinterest and more are capturing your customers and clients attention. The level of your prowess in these areas makes a difference in your bottom line. How can you compete for attention? How do you increase your reach? How can you make time? Join the 4 hour social media bootcamp class for these answers and more. Josh Wade of nectarMEDIA built his brand through blogging, social networks, and online marketing. Josh now owns 4 businesses whose sole approach to marketing is building and nurturing his online community. Learn from someone who has been through the trenches, is fighting the battle and can show you the tools and techniques needed to win and build business online. The class is this Wednesday, April 12, 8am-Noon at Nectar Catering and Events, 120 North Stevens Street. Breakfast is served at 7:30. For more information and to sign up call 509-869-1572. 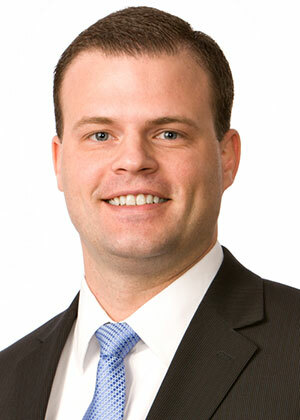 Witherspoon Kelley has announced that Michael J. Kapaun has been named partner/shareholder. 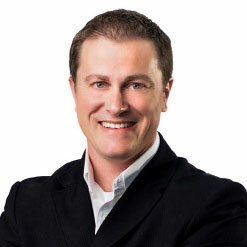 Kapaun joined Witherspoon Kelley in 2010. His practice areas include Banking and Finance, Business and Corporate, Construction, Creditors' Rights, and Litigation. Kristine Ruggles, formerly Executive Director of Christ Clinic-Christ Kitchen begins her new role as Director of Operations & Business at the Salvation Army today. She replaces former director Sheila Geraghty who has just assumed the position of Executive Director of the Spokane Humane Society. Titan Freight Systems has leased approximately 7,200 square feet of space in Building 3, Suite M, in the Spokane Business & Industrial Park at 3808 N. Sullivan Road, in Spokane Valley. Their primary business is transportation services. On Thursday, April 27, Spokane's Ronald McDonald House (RMH) will celebrate its 30-year anniversary. Spokane's Ronald McDonald House opened on April 27, 1987, and over the past three decades the it has welcomed over 13,000 families from around the Inland Northwest with children in medical crisis accessing treatment in Spokane. Spokane's Ronald McDonald House provides a 'home-away-from-home', allowing families to stay close by their hospitalized child in a safe, supportive, home-like atmosphere. In addition to a private guest room and bathroom, guests have access to kitchen space, outdoor and indoor play areas for children, laundry facilities, and transportation to and from the hospital where their child is being treated. Families are also provided meals several times a week thanks to local community groups who come in to prepare breakfast, lunch and dinner. All services are provided at no cost to families. "It's very important to us that families don't have to worry about paying for lodging during this incredibly stressful time. Thanks to the generosity of our community we are able to open our doors to families free of charge," explains Mike Forness, Executive Director for RMHC. Most importantly, families find a community of support at the Ronald McDonald House. In 2016, RMH Spokane served 822 guests. The primary reasons for stay were a premature baby, a newborn with significant complications, or a child with cancer. Ronald McDonald House has 22 guest rooms and is at capacity almost every night. On April 27, community volunteers have signed up to provide breakfast, lunch and dinner for the 22 families currently staying at the Ronald McDonald House. Additionally, there will be a cake cutting ceremony for families, staff and volunteers at 4pm. Staff will be available to give tours throughout the day. Programming Chairwoman - Katy Wagnon, Washington Trust Bank.